Deep in north California's redwood forests, June Cassidy is hiding. She's no idea who's after her, why they want her or how much longer she can survive. But she's not the only fugitive hiding in the woods. 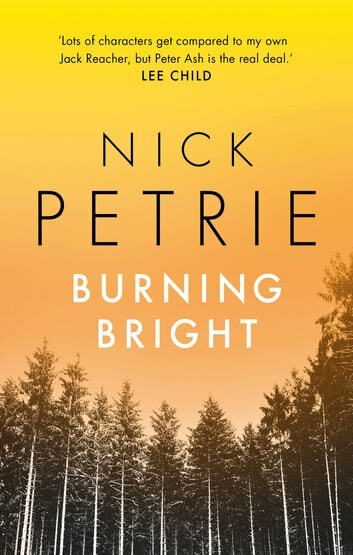 After eight years a soldier, Peter Ash came home with only one souvenir: what he calls 'white static', a crippling claustrophobia due to post-traumatic stress that has driven him far from conventional life and deep into the wilderness, living rough, sleeping under the stars. The odds are against them, but Peter might just be the one man with the skill set to get June out of the woods alive.